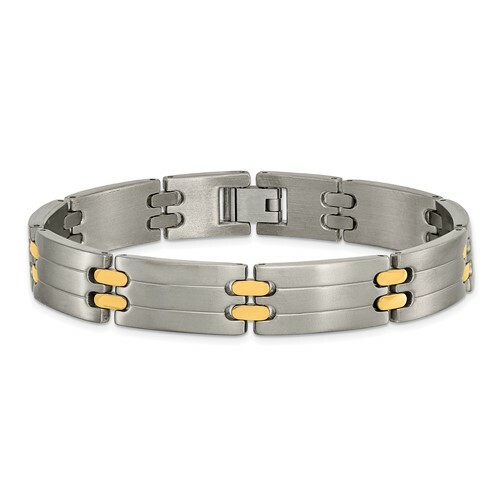 Titanium bracelet has polished 24k yellow gold plated links. Brushed titanium. Bracelet length: 8.5 inches.